Scientists are one step closer to mimicking the way biological systems interact and process information in the body – a vital step toward developing new forms of biorobotics and novel treatment approaches for several muscle-related health problems such as muscular degenerative disorders, arrhythmia and limb loss. Using cardiac muscle cells and cardiac fibroblasts – cells found in connective heart tissue – researchers at the University of Notre Dame have created a “living diode,” which can be used for cell-based information processing, according to a recent study in Advanced Biosystems. Bioengineers created the muscle-based circuitry through a novel, self-forming, micro patterning approach. Using muscle cells opens the door to functional, biological structures or “computational tissues” that would allow an organ to control and direct mechanical devices in the body. The design arranges the two types of cells in a rectangular pattern, separating excitable cells from nonexcitable cells, allowing the team to transduce electrical signals unidirectionally and achieve a diode function using living cells. In addition to the diode-like function, the natural pacing ability of the muscle cells allowed Pinar Zorlutuna, assistant professor of aerospace and mechanical engineering, and her team to pass along information embedded in the electrical signals by modulating the frequency of the cells’ electrical activity. Zorlutuna’s research was funded by the National Science Foundation. The team’s work presents a new option in biocomputing, which has focused primarily on using gene circuitries of genetically modified single-cells or neuronal networks doped with chemical additives to create information processing systems. The single-cell options are slower to process information since they relay on chemical processes, and neuronal-based approaches can misfire signals, firing backward up to 10 percent of the time. Zorlutuna explores biomimetic environments in order to understand and control cell behavior. 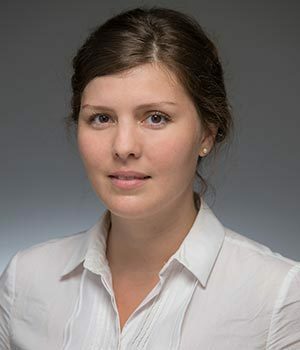 She also studies cell-cell and cell-environment interactions through tissue and genetic engineering, and micro- and nanotechnology at the Notre Dame Center for Nano Science and Technology. She is a researcher at the University’s Center for Stem Cells and Regenerative Medicine and the Harper Cancer Research Institute. Originally published by Jessica Sieff at news.nd.edu on February 14, 2017.